3 Watt replacement resistor for R2 in the Intellivision game console power supply. 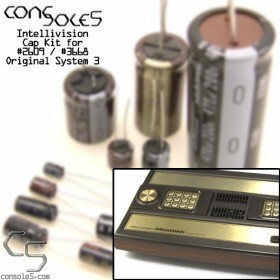 Early revision Intellivision consoles may have a carbon resistor for R2 which is underrated for the task. Over time these can burn and potentially cause problems. These replacements have a higher heat tolerance and high-temp (350c) coating for additional safety.